Last night, an evil scientist in the 1300 block of Doom Drive caused a blackout while trying to create Frankenstein 5.0. The new version of the monster is said to have more power and easier-to-use functions. But it’s gone mad. And it’s on the loose. The blackout is citywide. It’s bizarre. Even werewolves were howling at a crescent moon last night. Officials said they’d need another two days to restore power and catch the crazed Frankenstein 5.0 on the loose. Until then, who can say “monster party”? Thanks, Joe. 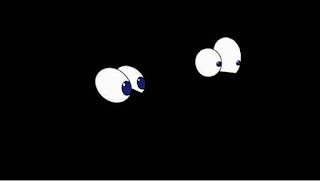 We're hoping you're in the area to enjoy the blackout with the rest of us. Happy haunting!